“Estate agent’s commission is too high”, I hear people saying. You sell a property for R1 million and if the agents charge their normal commission plus VAT it takes a chunk of about R85 000.00 off from your proceeds. Yet I know many estate agents who work long tedious hours on numerous potential transactions and who incur substantial expenses before they earn commission (for which they have to wait two to three months for registration of transfer), who battle to make a living selling property. The problem is that the traditional methods of estate agents are ineffective, labour intensive and costly. Many people try to sell their properties without an estate agent, which is legally permissible, but the success rate of private sellers is very low. Does that force you to make use of an estate agent? No, not necessarily. As I mentioned, the traditional way is ineffective. In fact it is totally outdated. Because of the failure to make proper use of the internet and modern technology. It has been said that the invention of the internet is the most important innovation since the printing press was invented in the 15th century. 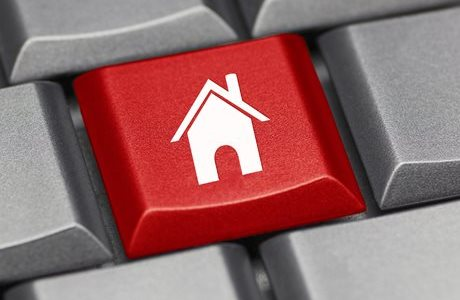 Experts say that technology is already providing solutions reducing the use of intermediaries in real estate. So if the traditional method of using estate agents is not cost-effective and if selling privately does usually not work well, what is the option that remains? “Here is the deal: Selling commission of only 2.5% plus VAT! How can conveyancers render a service for such a low commission? Because they make use of the latest technology and avoid old fashioned time-wasting methods, like show houses, spending time and energy with unqualified purchasers, escorting potential purchasers to numerous properties etc. in other words, by working smarter and not harder…. Nine property web portals are used e.g. Property 24, Private Property, IOL, Gumtree etc. You save a substantial amount on agent’s commission, which gives you more of a free hand to reduce your price and get a quicker deal. Like I’ve said, on R1 million you usually pay something like R85 000.00 commission, whilst the conveyancer belonging to the Attorney Realtor Hub charges only R28 500.00 – a saving of R56 500.00! If you need more information, send your enquiry to Monya at info@jglaw.co.za.